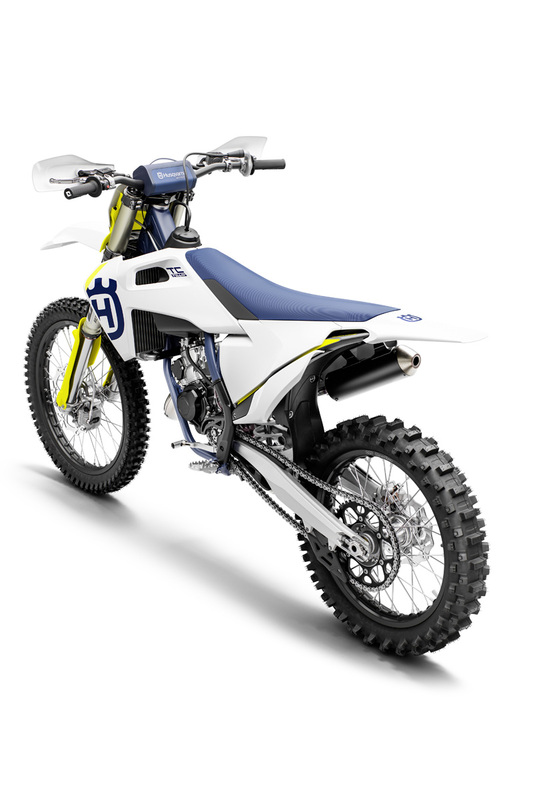 Recently enjoying one of the most memorable moments in the brand's history by claiming both the 2018 450SX Monster Energy Supercross Championship and 250SX AMA East Region Championship, Husqvarna Motorcycles reaffirmed their status as a dominant force in top-level motorsports. 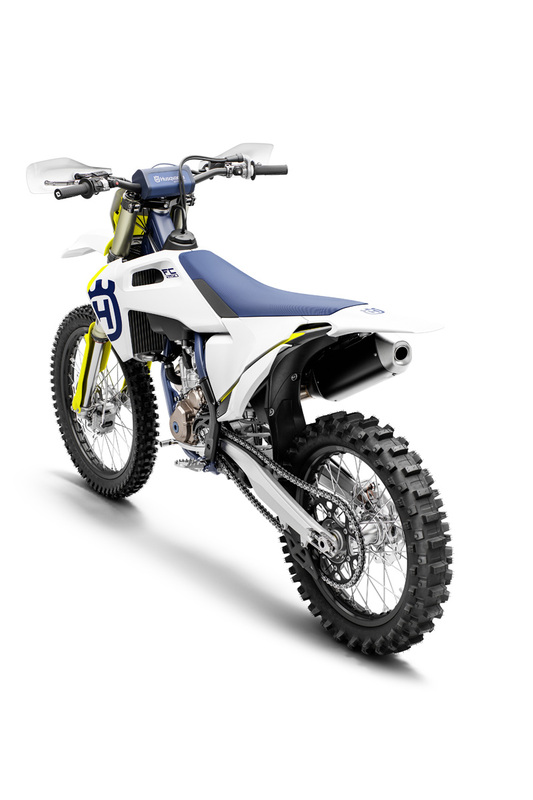 Combining the feedback provided by championship-winning racers with extensive in-house testing, Husqvarna engineers designed the new generation of motocross machines with the ultimate goal of making them more agile, more ergonomically advanced, and with greater overall performance than any previous generation. For model year 2019, Husqvarna Motorcycles proudly introduces a new generation of two-stroke and four-stroke machines that represent the next step in the historic brand's motocross range. 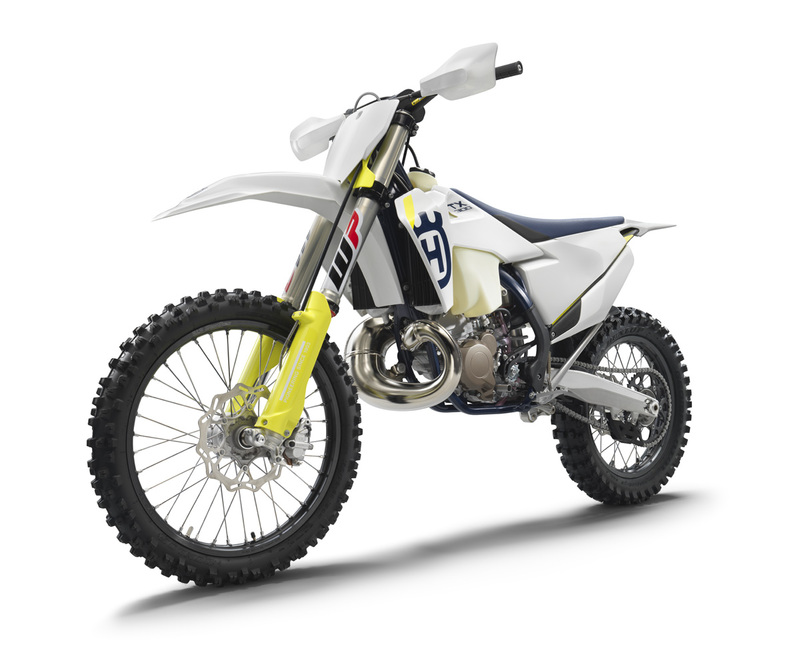 From the nimble TC 125 to the potent FC 450, each model in the MY19 range sets the benchmark in its respective class. 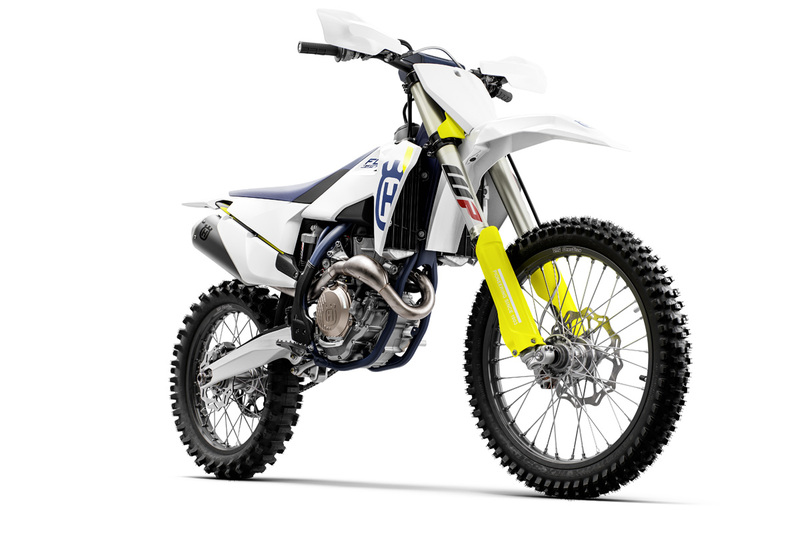 Standing out among a long list of upgrades is the all-new blue-coated frame that offers increased rigidity for improved rider feedback and stability. 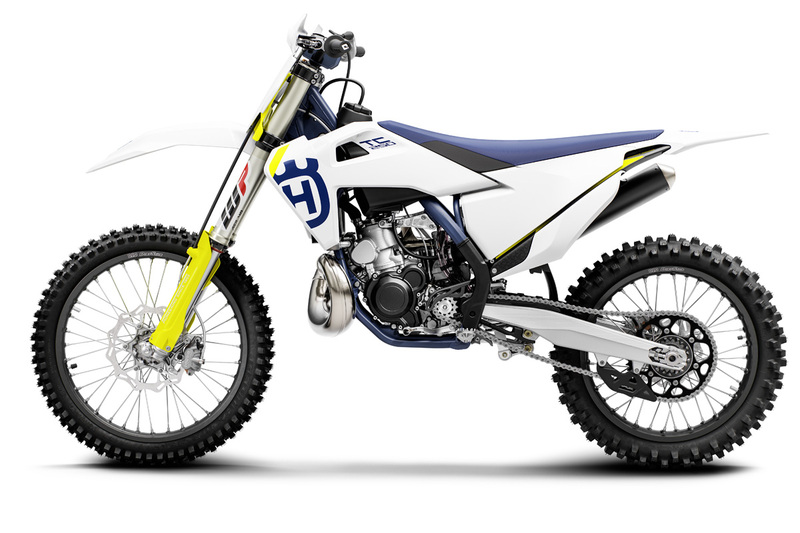 With all models receiving a series of engine upgrades, the flagship FC 450 has a redesigned cylinder head that reduces the engine's weight by 500g. 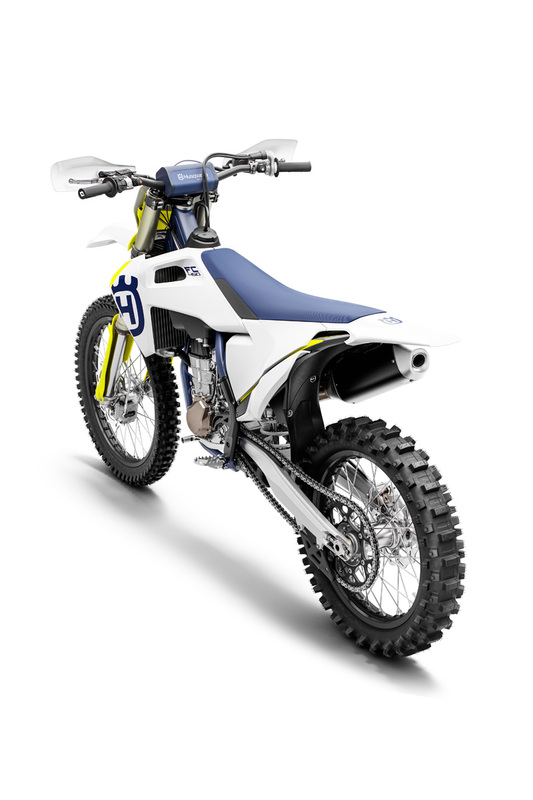 Showcasing Husqvarna Motorcycles' pioneering design direction in the competition bike segment, a fresh new bodywork design offers advanced ergonomics for optimum comfort and control. 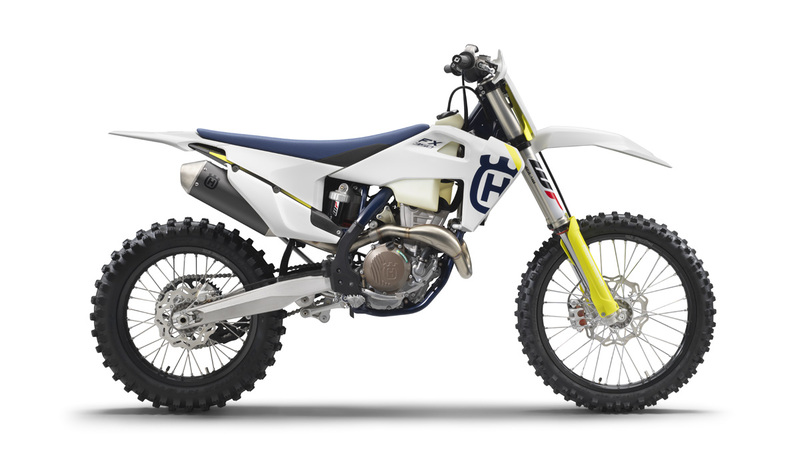 Collecting feedback from world-class riders and combining it with extensive testing, Husqvarna Motorcycles introduces a long list of upgrades that allow the new generation of FC and TC machines to continue setting the benchmark in terms of handling, performance, weight, and aesthetics. The hydro-formed, laser-cut, and robot-welded frame is expertly crafted. Constructed with specifically calculated parameters of longitudinal and torsional flex, the MY19 frames feature newly designed sections that bring an increase in rigidity. This results in improved rider feedback, energy absorption, and stability. 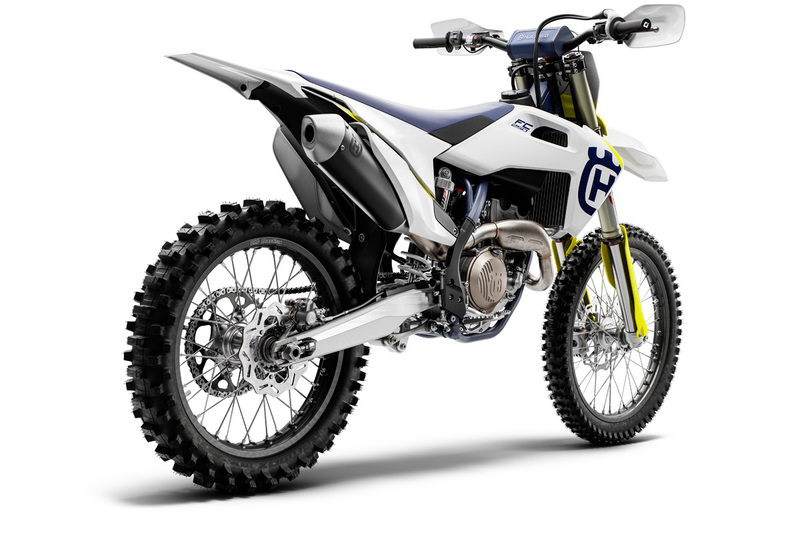 New aluminum lateral engine head stays, entirely new for the TC 250, contribute to precise cornering and reduced vibration levels. 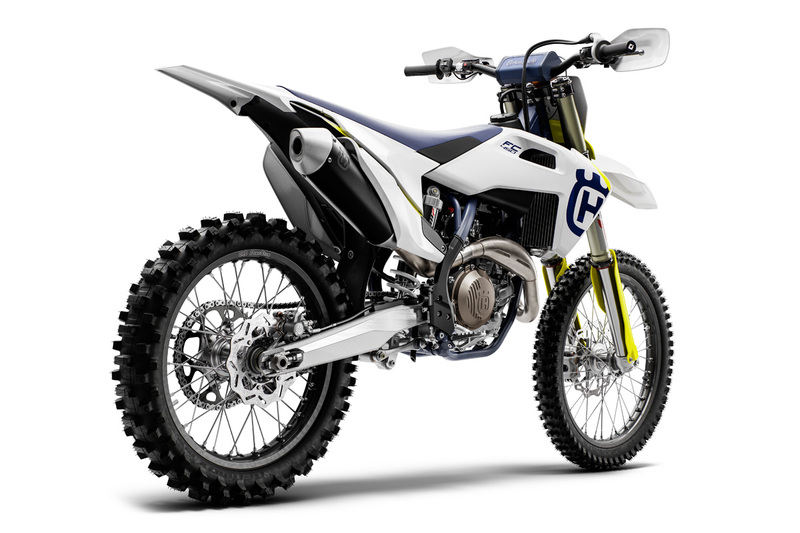 Additionally, the four-stroke frames feature new precision-casted head stay mounts and brackets for mounting an optional skid plate that will be available in the accessories line. The frame is finished off in a premium blue powder coating and standard frame protectors that guarantee superior protection and durability. 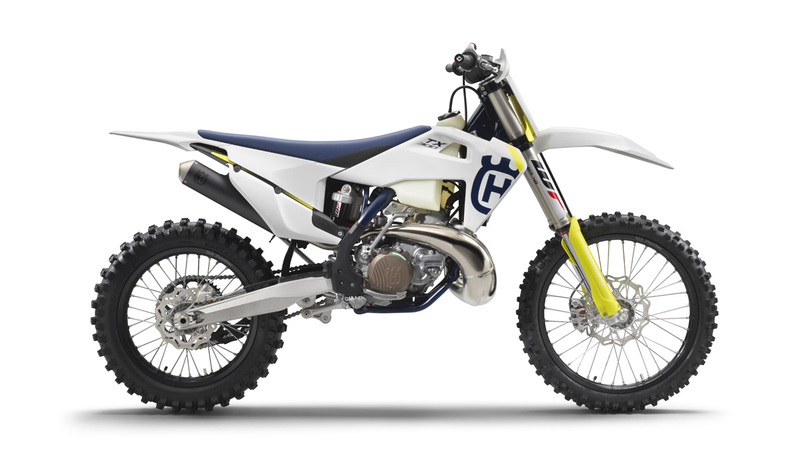 Additionally, to maximize the grip on the front wheel and improve the general handling, the TC 250 engine position has been raised by one degree around the swingarm pivot. 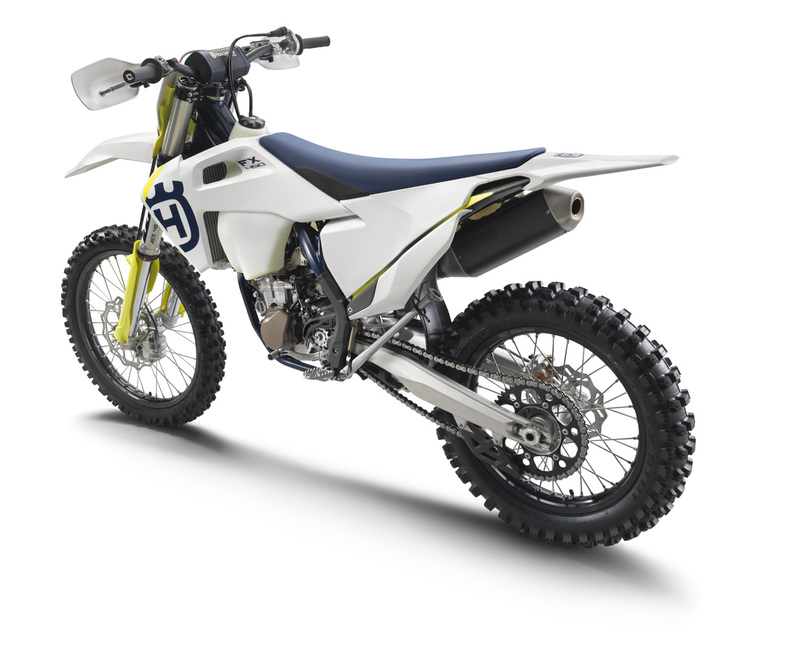 Showcasing pioneering technologies and innovation, the composite subframe is a design unique to Husqvarna Motorcycles. 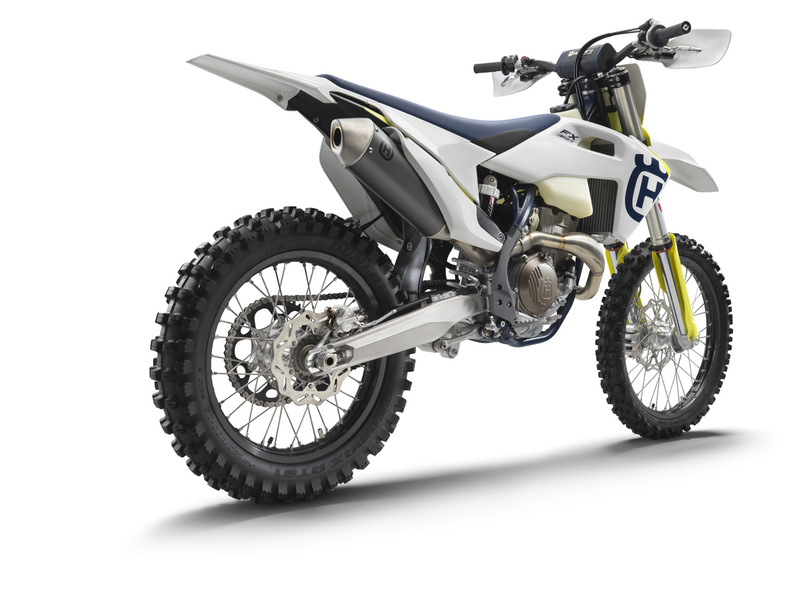 Using 70 percent polyamide and 30 percent carbon fiber, the new two-piece subframe design (previously three-piece) saves 250g for a total weight of just over 1 kg (2.2 lbs). In addition to being robust, specific care has been taken to create the perfect rigidity (vertical stiffness +30 percent) for optimal handling and rider comfort. 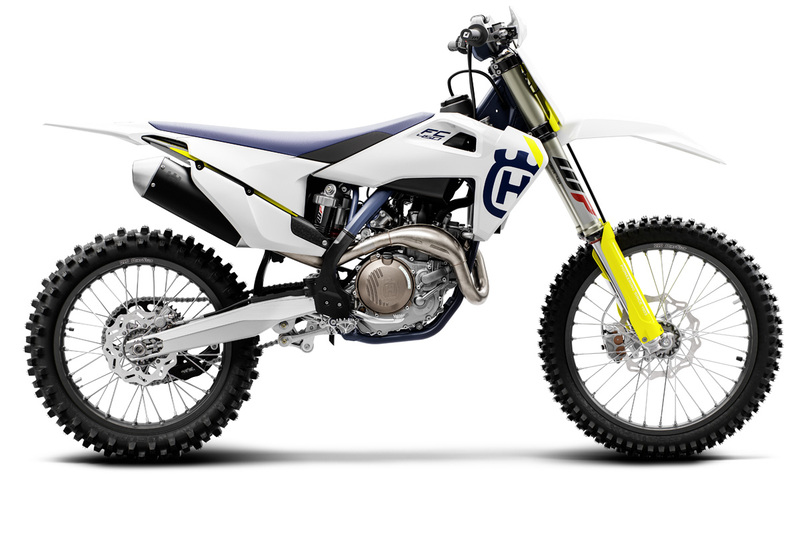 The hollow cast aluminum swingarm is designed to offer optimal stiffness and reliability at the lowest possible weight. For MY19, the chain adjustment slot has increased by 5mm, extending the total wheelbase adjustment length for improved straight-line stability on faster tracks and over whoops. The Pro Taper handlebar is second to none for function and style. Manufactured to exacting standards, it features class-leading fatigue resistance while adding minimal weight. A new bend for all MY19 models further increases comfort by improving the pressure point on the rider's hands. The standard handguards offer maximum roost protection. 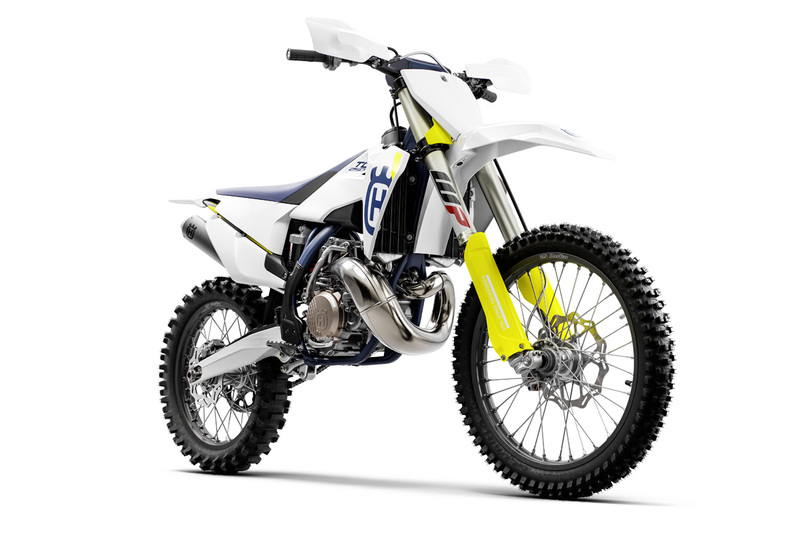 Designed for easy operation, the standard map switch on all four-strokes activates launch control, selects between two engine maps, and activates the traction control feature. Both traction control and launch control feature updated settings for MY19. 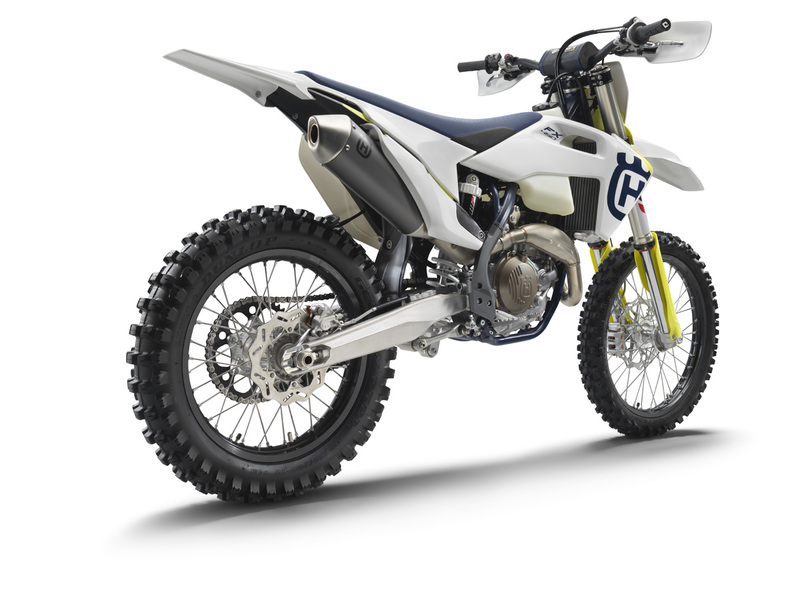 These offer improved traction off the start and on slick tracks and work simultaneously—when both are activated—to offer maximized benefits. With the engine at idle, launch control is engaged by pressing both TC and MAP buttons simultaneously for about two seconds. The LED lamp will blink continuously, meaning the system is active. 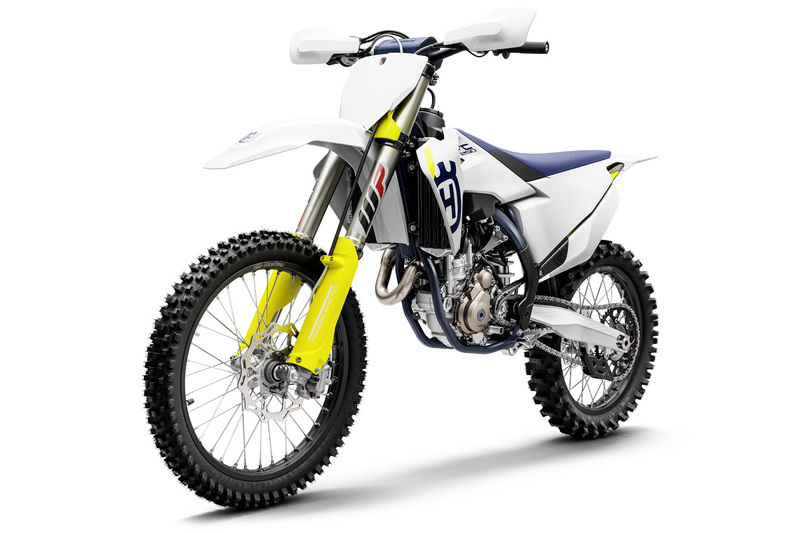 This function limits the amount of power to the rear wheel, improving traction and preventing loss of control under hard acceleration. The map switch offers selection between a standard map and more powerful one. Featuring an updated setting for MY19 that brings even better advantage in wet or muddy conditions, the traction control feature can be turned on or off from the handlebar switch. It functions by analyzing throttle input from the rider and the rate at which RPM increases in the engine. 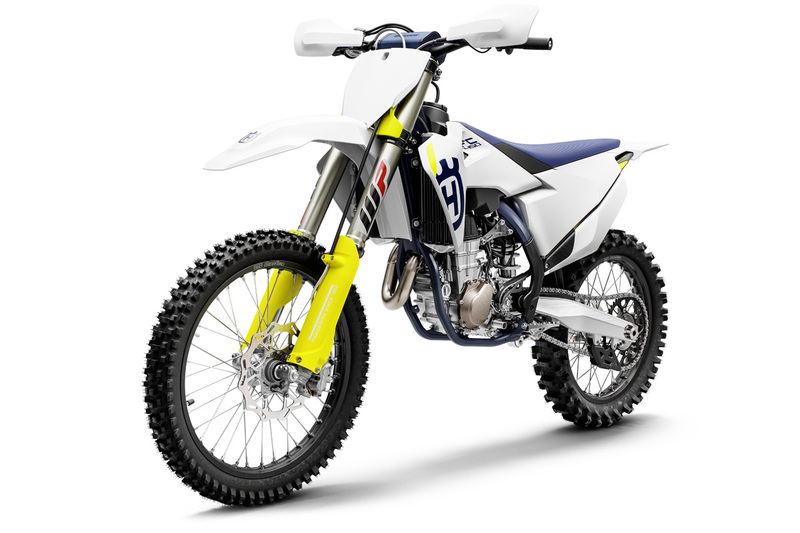 If the RPM increases too quickly, the EMS registers a loss of grip and reduces the amount of power to the rear wheel, ensuring maximum traction and better control. 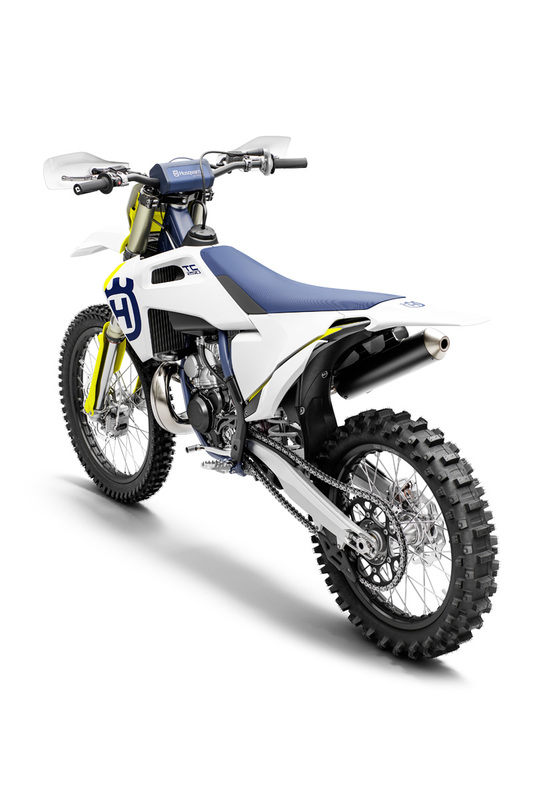 Tailored specifically for each MY19 two-stroke and using an innovative 3D design process, the new header pipes offer further improvements in geometry and performance. 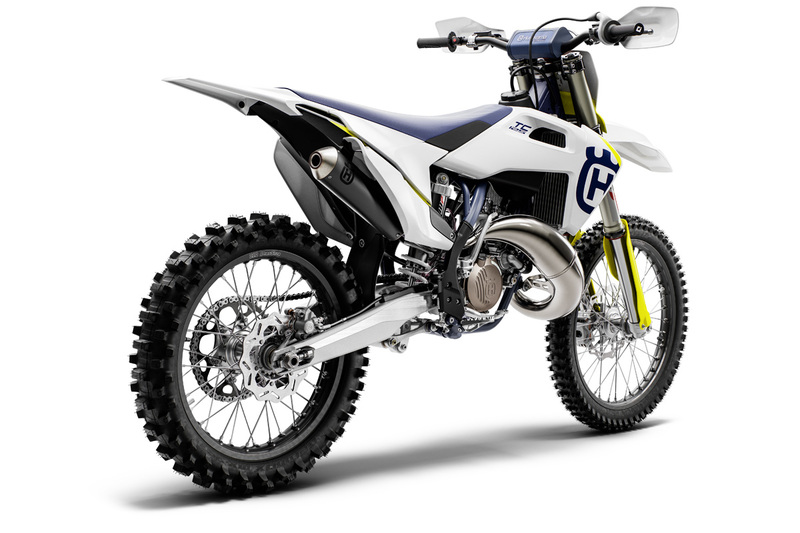 The TC 250 pipe is narrower and offers more ground clearance, making it less susceptible to damage. All two-stroke mufflers feature new internals with less dense packaging material offering more efficient noise damping. Together with a new aluminum mounting bracket, there is a weight saving of 300g. 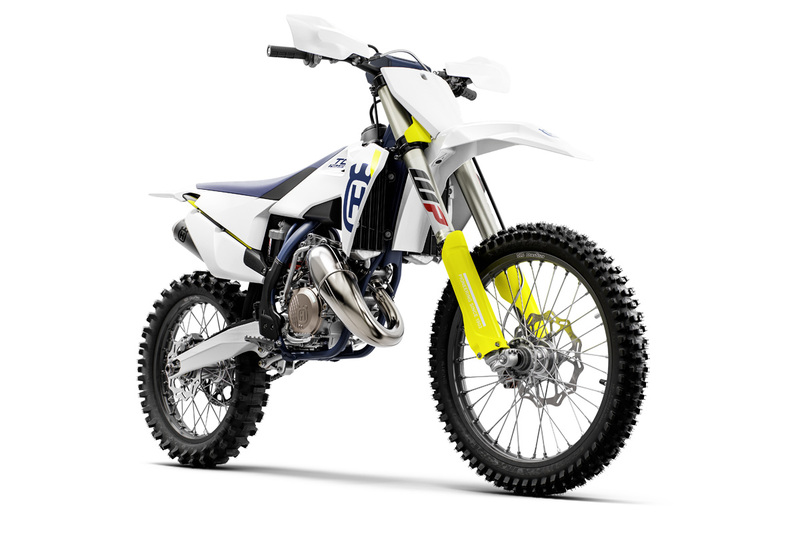 All four-stroke exhaust systems are expertly crafted to deliver the best possible performance at the lowest possible weight. For MY19, the four-stroke header pipes feature a new flow designed resonance chamber integrated within them. 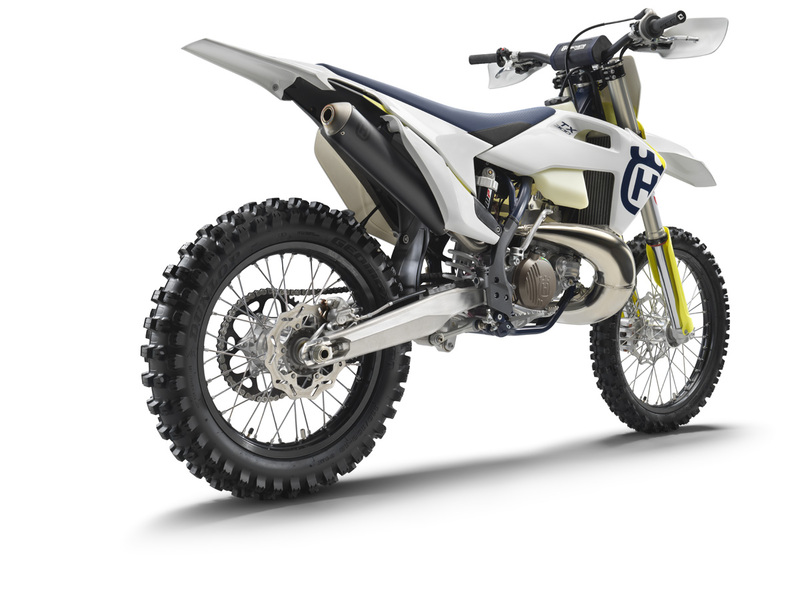 The new header pipes also feature a new joining position allowing them to be removed without detaching the rear shock. The new silencers are shorter and more compact while delivering the same damping volume and noise levels. 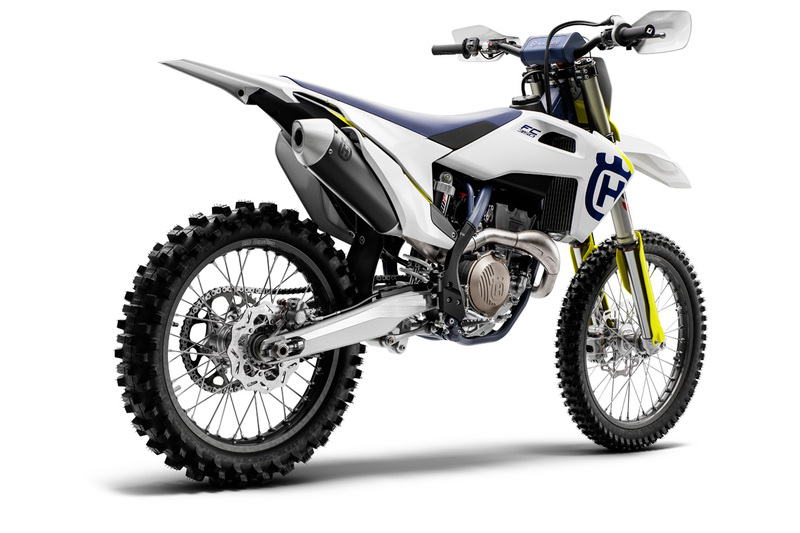 The units are crafted from lightweight aluminum and are stylishly finished off with a new anodized coating that proudly carries the Husqvarna Motorcycles logo. The radiators are expertly crafted using high-strength aluminum. CFD (computational fluid dynamics) technology is used to channel air through the radiators more efficiently for optimal cooling in any condition. Channeling coolant through the frame allows for improved cooling and eliminates the need for additional hoses. New to the system for MY19 is a 4mm larger center tube that runs through the frame. The new tube reduces the pressure at this point in the system allowing for a more consistent coolant flow. 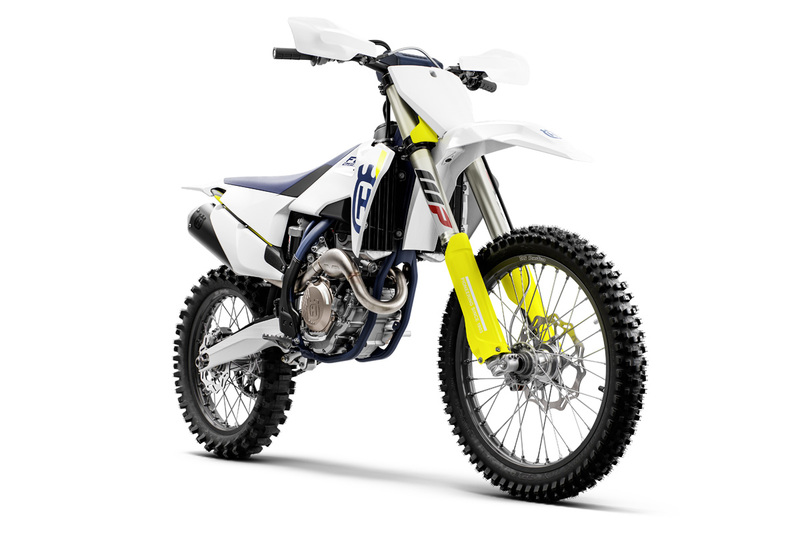 The approximately 1.85 gallon polythene fuel tanks feature improved ergonomics and incorporate a threaded filler cap and an integrated fuel pump on the four-stroke range. The fuel pump is optimized with a new internal line routing from the pump to the flange for improved fuel flow. For MY19, the external fuel line has moved inward and is less exposed and susceptible to damage. The MY19 range features fresh new bodywork that showcases Husqvarna Motorcycles' pioneering design direction in off-road motorcycles. 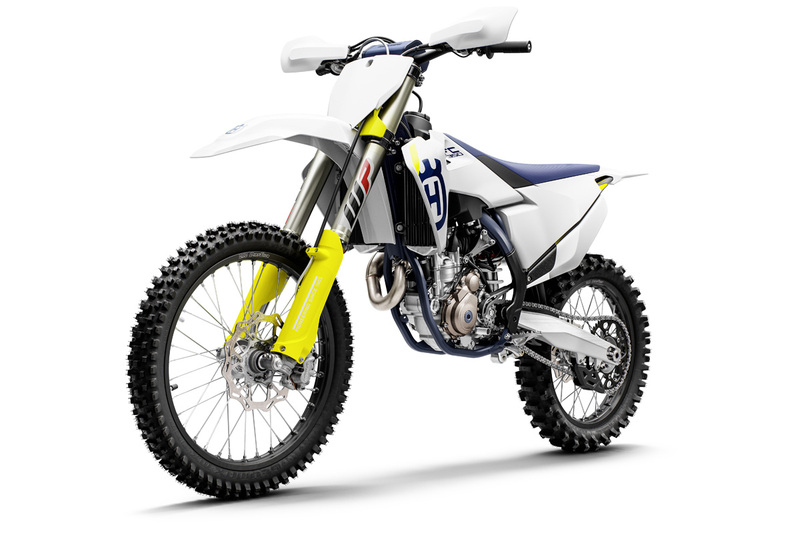 The ergonomics are specifically designed to deliver greater comfort and control, enabling riders to perform at the highest level for extended periods of time. Additionally, the contact points have been slimmed down, making movement between riding positions seamless. The new seat profile is perfectly combined with the high grip seat cover to deliver superior comfort and control in all conditions. Extremely reliable, high-quality German-made clutch system guarantees even wear, near maintenance-free operation, and perfect action in every condition. Clutch play is constantly compensated so that the pressure point and function of the clutch remain identical in cold or hot conditions, as well as over time. The highest level of quality is guaranteed with class-leading Brembo calipers and controls. The 260mm front and 220mm solid rear wave discs deliver superior stopping power while instilling confidence in any condition. 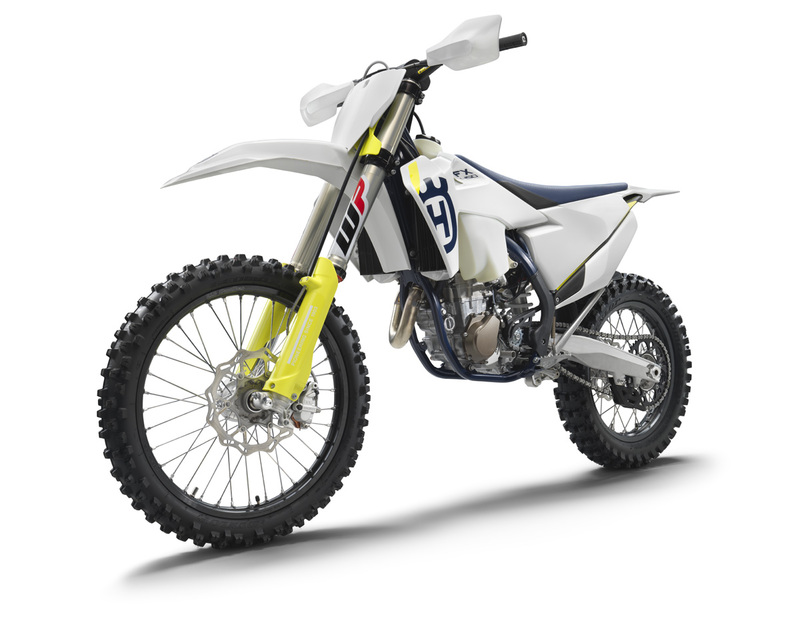 The Keihin EMS is specifically designed to be smaller, lighter, and faster at processing data. 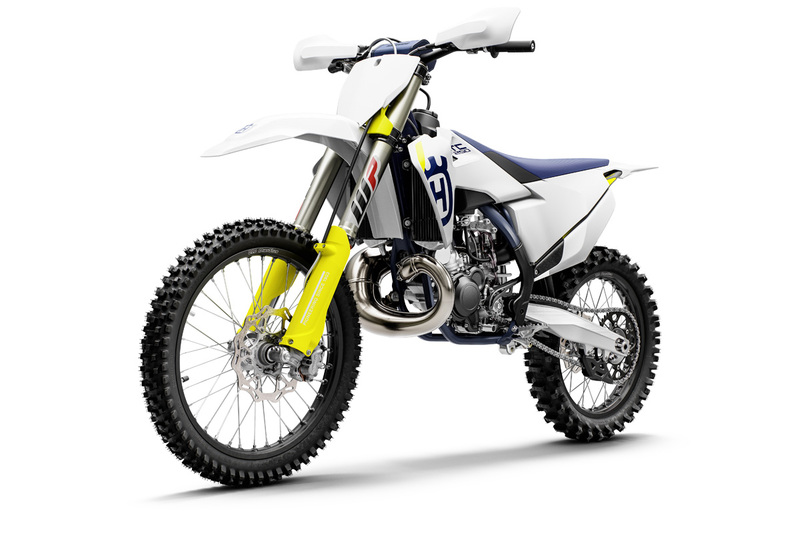 It integrates launch control for perfect starts, selectable engine maps via the switch on the handlebar and traction control. Combined with the gear sensor, power delivery is tailored for each gear. 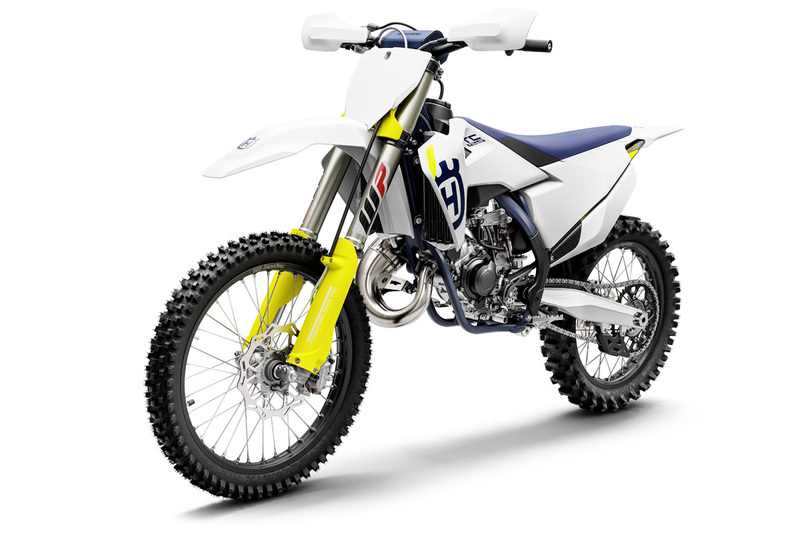 Fitted as standard are Dunlop MX3S Motocross tires that feature the proven "block-within-a-block" design for more progressive cornering and superior grip. All major components and shaft arrangements are carefully designed and placed to best suit the performance and handling characteristics of the overall package. 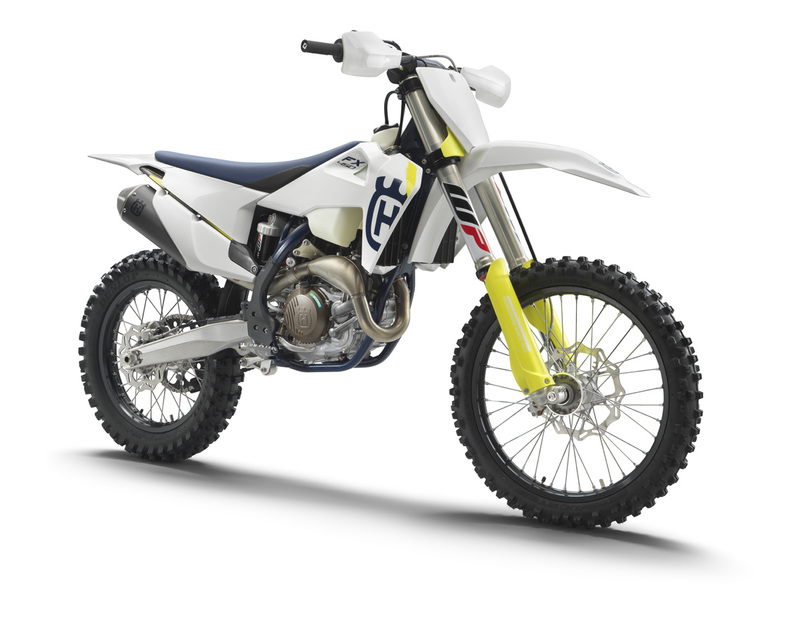 The 250cc engine is not only light at 26.1 kg (57.5 lbs), but also remarkably powerful. The DOHC cylinder head features finger followers with a DLC (Diamond-Like Carbon) coating, resulting in minimal friction and optimal performance. These actuate large titanium valves (32.5mm intake, 26.5mm exhaust) that open and close multiple times each second, introducing fuel/air mixture to the carefully designed combustion chamber for efficient and optimal power throughout the rev-range. For MY19, the exhaust camshaft features optimized timing that further improves power delivery. 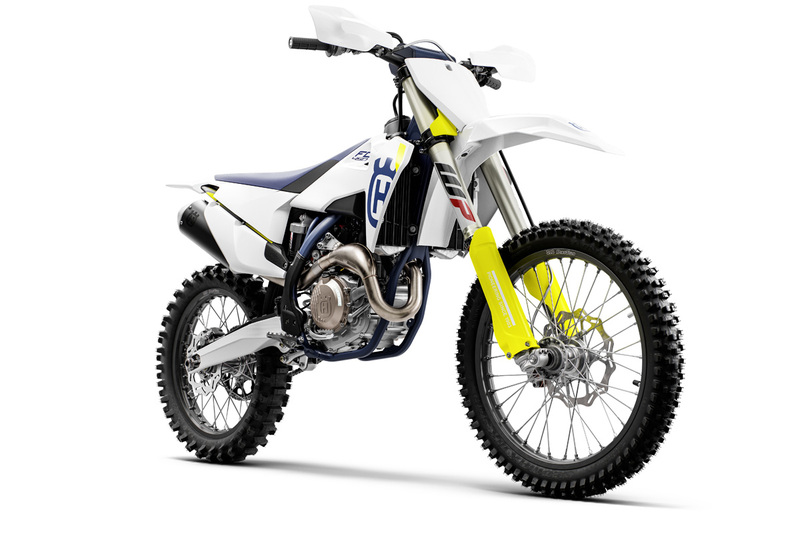 Produced by Pankl Racing Systems, the five-speed gearbox has been designed to be extremely light and durable while featuring motocross specific ratios. The shifting fork has a low-friction coating for smoother shifting, while the gear lever is designed to prevent dirt build-up and ensure perfect gear selection in all conditions. An advanced gear sensor allows for specific engine maps, delivering the best possible performance in each gear. 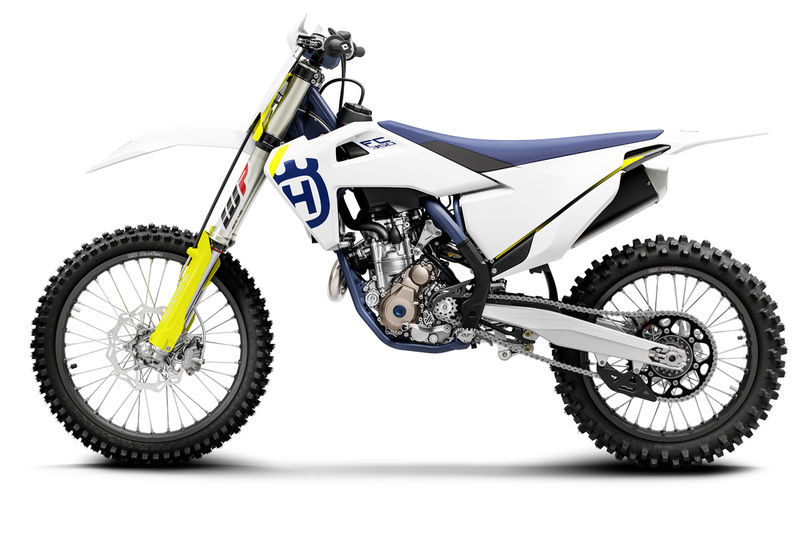 The MY19 FC 250 features a new DS (Diaphragm Steel) clutch, saving 190g. The exclusive characteristics of this system include a compact rivet-less design and a single diaphragm steel pressure plate, instead of traditional coil springs. The clutch basket is a single-piece CNC-machined steel component that allows the use of thin steel liners and contributes to the compact design of the engine. 38mm Mikuni carburetor → optimal performance.